Share on Facebook: What Do I Do Next? In this week’s eSkeptic, we reveal the behind the scenes workings of that UFO hoax that captured headlines earlier this year. People in and around the Morristown, New Jersey area saw unidentified flying objects, with many of them naturally assuming that these UFOs represented extraterrestrial space craft. As you shall see, there was a rather more terrestrial explanation. In fact, they were helium balloons with flares attached to them, lofted into the sky by Chris Russo and Joe Rudy, in their social experiment on how to create your own media event surrounding UFO sightings. 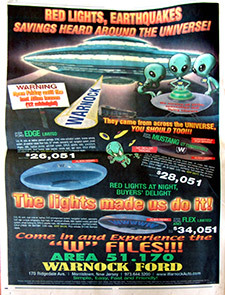 Even though this does not mean that all UFO sightings are hoaxes — of course many represent other terrestrial (instead of extraterrestrial) events such as the planet Venus, military aircraft, weather balloons, advertising planes, and the like (and even, pace Men in Black, swamp gas) — it does reveal how the human mind connects the dots and fills in the gaps with plausible explanations that often include fantastic tales of alien beings. 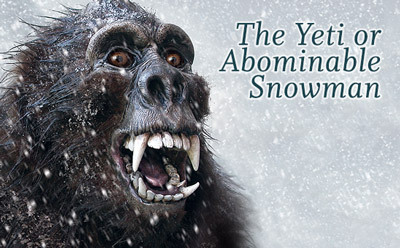 Enjoy the story and watch the video clips of this amazing hoax! Joe Rudy releases a burning flare along side the smoke trail left by a vanished balloon while Chris Russo kneels down to get the next flare ready. Have you ever seen the face of the Virgin Mary on your grilled cheese? How about the image of Satan in a cloud of smoke? Or Sasquatch running through the woods? What about an alien spacecraft in the sky? It is not difficult to find people who respond with an astounding “yes!” to one of these — or all four. Humans are, by nature, experts at finding patterns whether they are real or not, and UFOs are among the most common patterns people find in the skies. Now, you may be thinking that UFOs are only seen by a mullet sporting, tobacco chewing, dolt whose highest aspiration is to make an appearance on the Jerry Springer Show, but in fact doctors, lawyers and even pilots report seeing flying saucers, flying triangles, and aerial shapes of all manner of an unidentified nature. Even over the skies of an affluent suburban community in New Jersey. 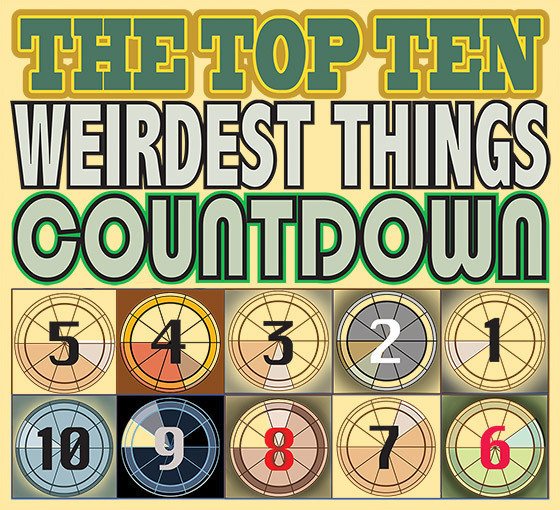 Enter Joe Rudy and Chris Russo and the great UFO hoax of 2009. In November of 2008, we found ourselves sitting around one evening discussing pseudoscience and the large numbers of people that still believe in its various guises. We had always had a strong interest in why people were so easily fooled by such irrational superstitions as psychic ability, spiritual mediums, alien abductions, and the like. 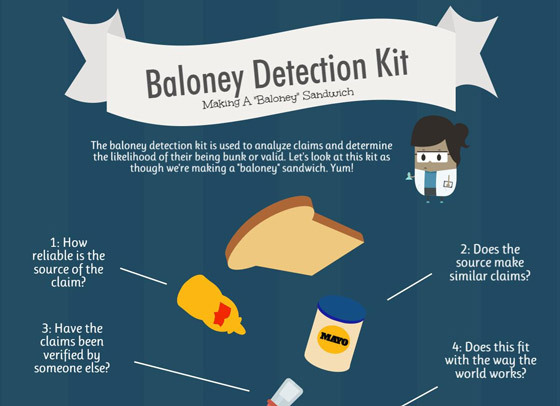 Despite the lack of evidence to support these notions, we were baffled. How could so many people in an age of science still buy into dogma that is no more or less ridiculous than the notion of an elderly obese man delivering presents to every child on Earth in one evening? And like most other people, we had always heard about the uneducated farmer spotting an alien spaceship hovering over his farm, but we wondered if that amount of gullibility could be found in our upper-middle class hometown of Hanover, NJ, and the surrounding cities. The modern UFO phenomena began in 1947 when a pilot named Kenneth Arnold spotted objects that he described as “crescent shaped,” adding that they “moved like a saucer would if you skipped it across the water.” He was subsequently misquoted by an Associated Press reporter as having seen “flying saucers,” which he later corrected, noting: “They said that I’d said they were saucer-like. I said they flew in saucer-like fashion.” Nevertheless, the flying saucer craze was born and 60 years later, despite the fact that there is still no evidence of their existence, the UFO myth is as strong today as ever, fed by cable channel shows that prop up UFO “experts” who claim to be authorities on a subject that’s on par with astrology and palm reading. These charlatans make a career by perpetuating the E.T. fairy tale and exploiting credulous people who want nothing more than a good conspiracy theory to believe in. It is in this context that we set out on a mission to help people think rationally and question the credibility of so-called UFO “professionals.” We brainstormed the idea of producing a spaceship hoax to fool people, bring the charlatans out of the woodwork to drum up controversy, and then expose it as nothing more than a prank to show everyone how unreliable eyewitness accounts are, along with investigators of UFOs. We hatched the idea of tying flares onto helium balloons and launching them in a nearby field — an open yet isolated area surrounded by woods. There we were sure that we would have the privacy to prep the balloons, and that we wouldn’t have our plot foiled. From the beginning we decided to document all aspects of the project, including setting up the flares and balloons, launching them into the sky, and recording any media coverage that the “UFOs” received. 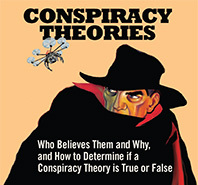 The documentation was especially important in order to prevent conspiracy theorists from claiming that we were part of a cover-up of the truth when we revealed the hoax. On January 5, 2009, we set out into the woods on the border of Morris Plains and Hanover, NJ, carrying one helium tank, five balloons, five flares, fishing line, duct tape, and a video camera. After filling up one 3-foot balloon with helium, we tied about five feet of fishing line to the balloon, secured the line with tape, then tied and taped the flare to the other end of the line. 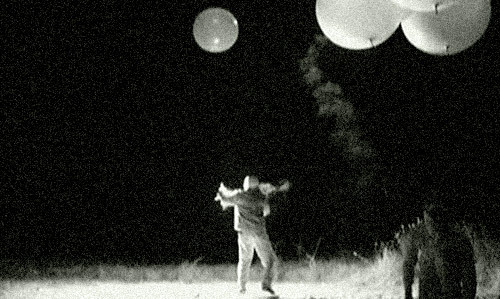 Once all five balloons were ready for takeoff (with our fingers on the verge of frost bite), we struck the 15-minute flares and released them into the sky in increments of fifteen seconds apart from each other. We filmed the “UFOs” as they floated away, and then walked the half-mile stretch out of the woods to our car. The hoax was underway. The media coverage the incident received over the next few days was extensive. 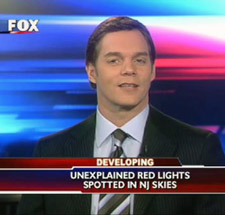 Both local and national news stations were covering the UFO over New Jersey. The local paper had a field day with it, quoting a doctor who said the mysterious lights traveled against the wind, and quoting another man who said the object “didn’t appear to be manmade.” The most sought after witnesses were the Hurley family. Paul Hurley, a pilot, along with his family, made appearances on just about every major news station, describing the strange lights that they saw in the sky. The “Morristown UFO” became the talk of the town. We followed up our light show with four more performances, gaining media attention every time. Every conspiracy website and radio show was mentioning it. To add fuel to the fire, we made appearances ourselves on News 12 New Jersey, on the Jeff Rense Program (a radio show that promotes conspiracy theories), and at an Illinois UFO symposium hosted by MUFON. We even provided our own footage. To see a number of media stories, along with the footage we shot of our hoax being prepared and under way, follow the links at the end of this article. The icing on the cake came when the popular History Channel show UFO Hunters featured the Morristown UFO as their main story one week. 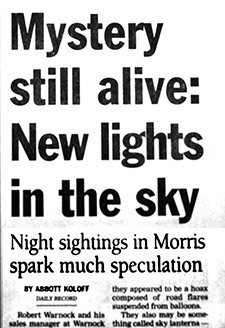 Bill Birnes, the lead investigator of the show and the publisher of UFO Magazine, declared definitively that the Morristown UFO could not have been flares or Chinese lanterns. Surely Birnes, who has written and edited over 25 books and encyclopedias in the fields of human behavior, true crime, current affairs, history, psychology, business, computing, and the paranormal, and the co-author of The Day After Roswell (a New York Times bestseller in 1997 and subsequently a documentary on The History Channel), could not have let himself be fooled by a couple of twenty- somethings with no formal education in psychology. He could. This begs an important question: are UFO investigators simply charlatans looking to make a quick buck off human gullibility, or are they alarmists using bad science to back up their biased opinions that extraterrestrial life is routinely visiting our planet? Either way, are these people deserving of their own shows on major cable networks? If a respected UFO investigator can be easily manipulated and dead wrong on one UFO case, is it possible he’s wrong on most (or all) of them? Do the networks buy into this nonsense, or are they in it for the ratings? How can a television network that has pretensions of providing honest and factual programming be taken seriously when the topic of one of their top rated shows deals with chasing flares and fishing line? In fact, we delivered what every perfect UFO case has: great video and pictures, “credible” eyewitnesses (doctors and pilots), and professional investigators convinced that something amazing was witnessed. Does this bring into question the validity of every other UFO case? We believe it does. Joe Rudy holds a B.S. in Science from Montclair State University in Montclair, NJ. He teaches science, gives private classical music lessons, and is an accomplished classical music performer. 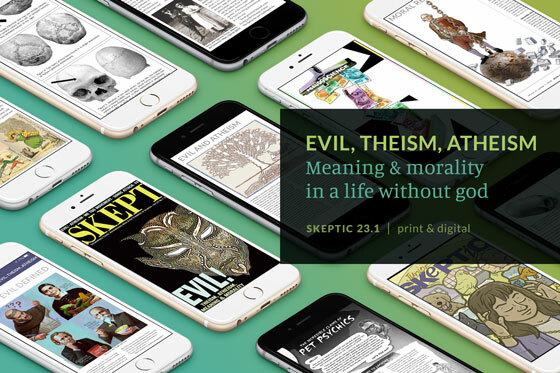 He is an avid reader of Skeptic magazine and enjoys reading the works of James Randi, Carl Sagan, Michael Shermer, Christopher Hitchens, and especially Richard Dawkins. He currently resides in Chester, NJ. Chris Russo has a degree in in management and economics from Gettysburg College in Gettysburg, PA. His current profession is in sales although he has spent some time modeling and acting. 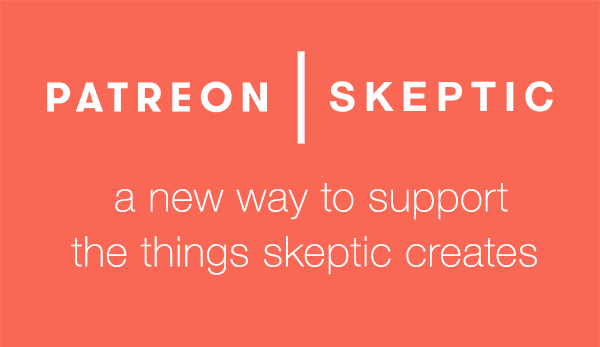 Although he has no intention of creating any more spaceships, he intends to continue his quest to spread reason and truth; one pseudoscience at a time. He currently lives in Morris Plains, NJ. 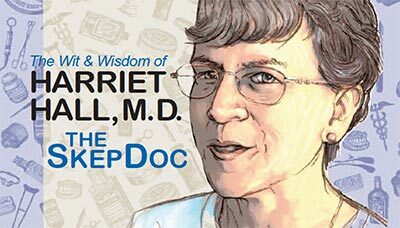 Help get the word out about skeptical activism: read “What Do I Do Next?” (PDF) and then share it on your blog, website, or Facebook Profile! You can share the Quick Reference Guide on Facebook with a single click, posting the point-form version of this free skeptical resource to your profile — or sending it directly to friends who may be interested. Or, share Skeptic.com’s new Skeptical Activism page on Facebook. 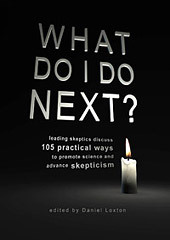 There, people will find the full PDF version of “What Do I Do Next?” as well as related audio and other resources. Is it possible that human relationships are nothing more than credit calculations and reciprocal relations, or, are human relations genuinely and deeply ingrained in our nature? Michael Shermer discusses the nature of altruism in the Banker‘s Paradox.